Submitted by Corinthian Land Ltd on Wed, 03/08/2016 - 00:00. "Work to create deeper and safer navigation channels in and out of Hayle's harbour will be taking place this week. Parts of the estuary will be mechanically dredged in preparation for reintroducing sluicing in Hayle. The practice of sluicing, which was discontinued in Hayle in the 1970s, helps reduce the build-up of sand and keep channels open. 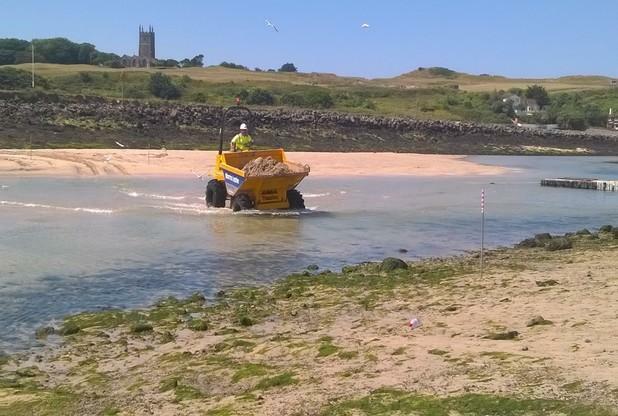 Community engagement officer for Hayle Harbour, Gary Cartmell, said: "We are going to be dredging in the estuary with a mechanical digger to remove the peaks in preparation of our test trials on the sluices.